As the race progressed Molyneux/Sayle pulled out with a machine problem leaving Reeves/Wilkes and the Birchalls to battle it out. 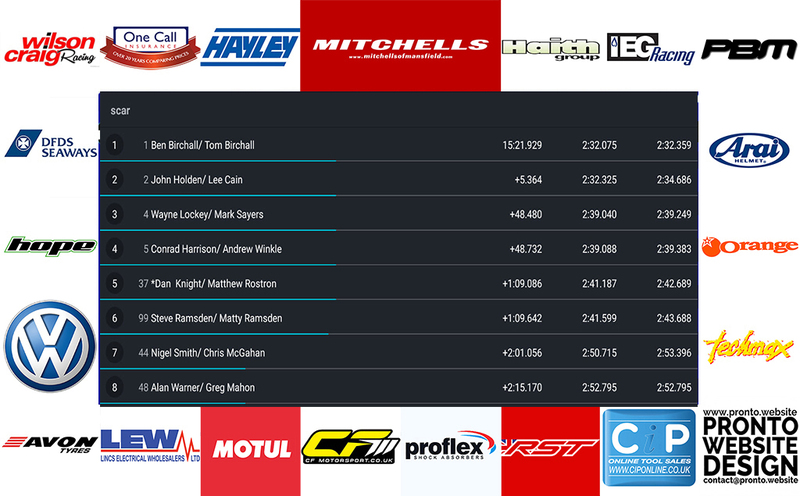 But two laps later Reeves also pulled out with a machine problem leaving Ben and Tom well clear to complete the race some six seconds ahead of Holden/Cain with Lockey/Sayers completing the podium. 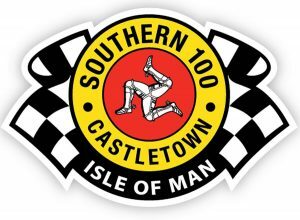 As the riders began their warm up lap for Thursday’s eight lap Manx Gas Championship race there was a short sharp shower of rain which caused the start to be delayed and the race to be reduced to seven laps. 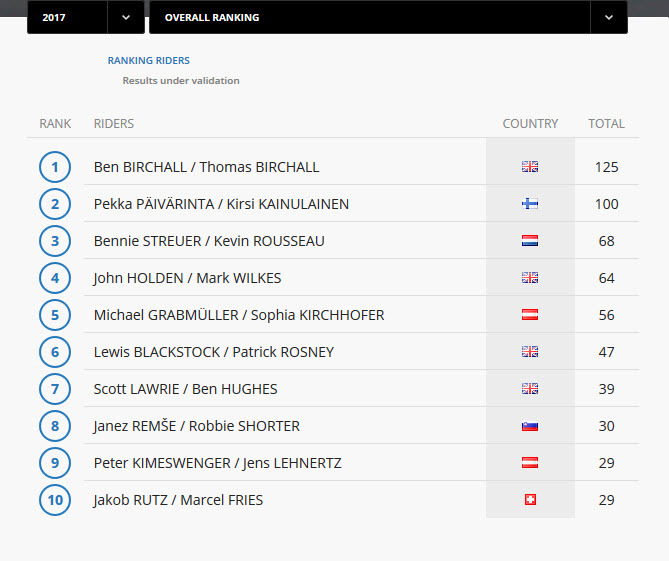 Once again Ben and Tom got a clean start and moved into second place behind Reeves/Wilkes. As the approached Four Cross Ways for the first time Ben got his nose ahead but couldn’t make the move stick and the pair moved well clear of the pursuing pack. Throughout the next five laps the two outfits were separated by just 0.2s and both crews were running under lap record pace. 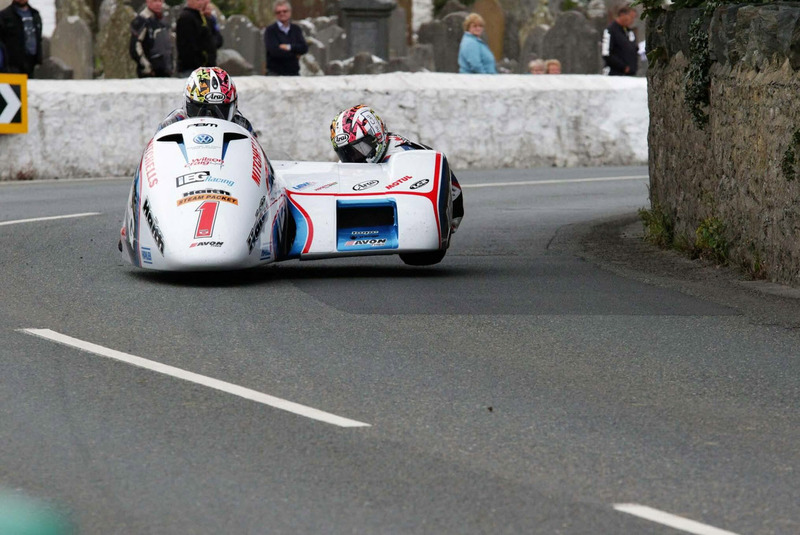 On lap four Ben and Tom set the fastest lap of the race with a 101.545mph – 2m 30.672s. But as they approached Four Cross Ways on lap six the two leaders clashed resulting in the red flag bringing the race to an early end. Neither crew was badly injured in the incident but as they were unable to continue, the result went the way of birthday boy John Holden and passenger Lee Cain. Ben commented: “First and foremost, Tom and I want to wish Tim and Mark a speedy recovery and are thankful no one was seriously injured after the unfortunate incident in our race. 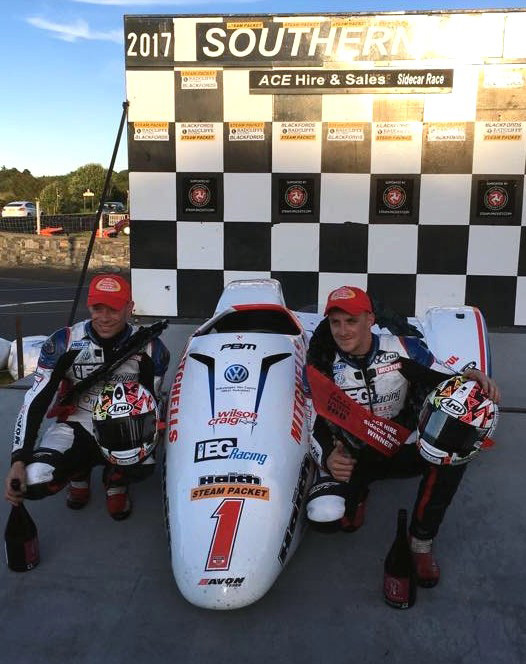 “We had a great battle with them and after studying their every move for the entire race I knew I had to get alongside them before they had the chance to defend the inside line at Cross Four Ways corner as they had done in previous laps. As Tim attempted to move over I was already alongside and was therefore fully committed to my line. “At this point our machines made unavoidable contact. In an attempt to avoid further contact I locked the brakes to our machine and stopped. We both ran to assist the marshals in freeing Tim from the bike and sacrificed the chance to take any further part in the race. 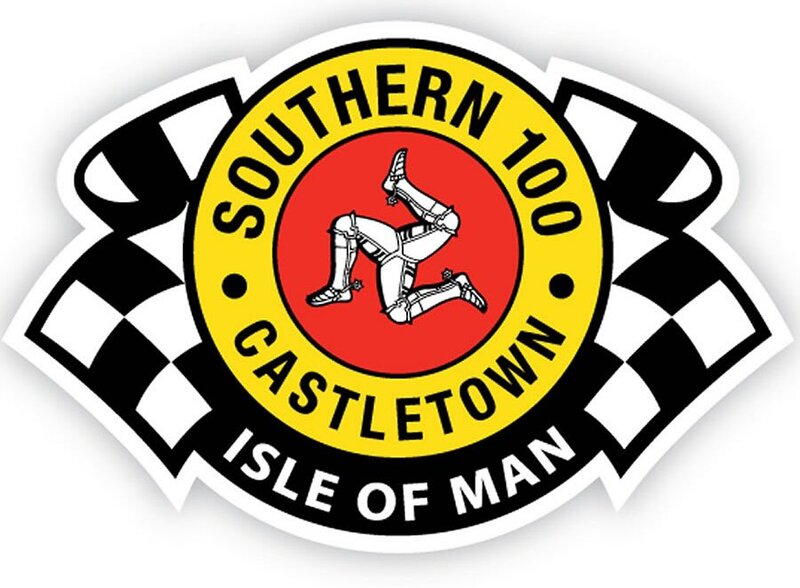 “We have nothing but utmost respect for Tim and Mark’s ability as racers and wish to thank the race organisers, marshals and medics. After investigation the organisers deemed it as a racing incident and both teams were excluded from the results. 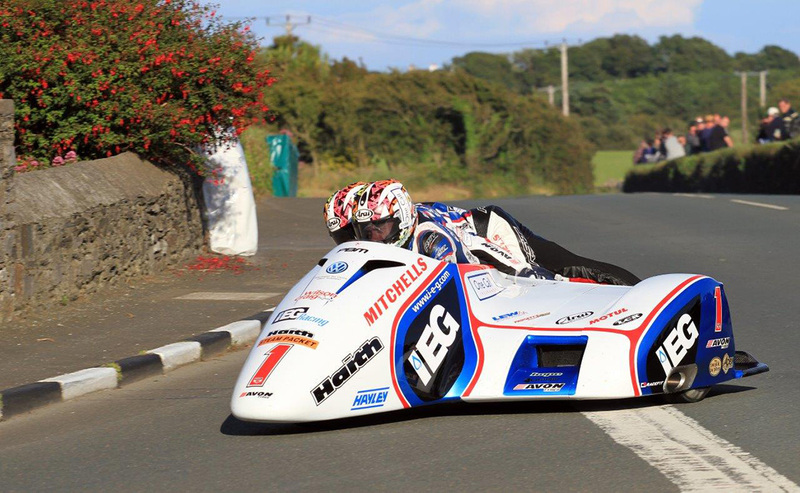 The Birchall Brothers will now focus their attention on the final two rounds of the FIM World championship in which they hold the series lead. The penultimate round takes place at Assen in the Netherlands on August 6.